Ray, A.K., S. Bisai, K. Bose, S. Ray, M.R. Choudhury and J. Bhattacharya, 2012. Etiological Factors, Assisted Reproduction and Pregnancy Outcome-A Retrospective Observation Among Infertile Couples. In: Health: A Bio-Cultural Synthesis, Biswas, S., (Ed. )., Concept Publishing Co. Pvt. Ltd., Kolkata, India, ISBN: 8180698467 pp: 200-210. Ganguli, S., A. Khatun, K. Bose and S. Bisai, 2012. Nutritional Status of Tribal Children of Paschim Medinipur District of West Bengal. In: Indigenous People in India: Identity, Empowerment and Discontent, Midya, D.K. (Ed.). APH Publication Corporation, Delhi, ISBN: 978-81-313-1439-5, pp: 128-136. Das, S., S. Bisai, S.D. Banik and K. Bose, 2012. BMI percentiles for rural Bengalee pre-school children aged 2-6 years, in comparison with the WHO reference and other studies. Acta Biol. Szegediensis, 56: 25-30. Bisai, S., 2012. Relationship between maternal nutritional status and infants growth pattern in Kolkata, West Bengal. Int. J. Curr. Res., 6: 57-59. Ray, S., T. Ghosh, P.C. Mondal, S. Basak, M. Alauddin, S.M. Choudhury and S. Bisai, 2011. Knowledge and information on psychological, physiological and gynaecological problems among adolescent schoolgirls of eastern India. Ethiop. J. Health Sci., 21: 183-189. Ray, S., R.S. Sarkar, P. Mukhopadhyay and S. Bisai, 2011. Adolescent menstrual problem in a form of primary amenorrhoea - a challenge to gynaecologist. Adv. Biol. Res., 5: 255-259. Bose, K., S. Biswas and S. Bisai, 2011. New reference values of body mass index for rural pre-school children of Bengalee ethnicity. Sci. J. Sociol. Anthropol., 1: 5-9. Bisai, S., K. Bose, G.K. De, T. Ghosh and R. Khongsdieret al., 2011. Nutritional status of tribal preschool children in Paschim Medinipur District of West Bengal, India. Int. J. Innovative Res. Dev., 1: 61-79. Bisai, S., K. Bose, D. Ghosh and K. De, 2011. Growth pattern and prevalence of underweight and stunting among rural adolescents. J. Nepal Paediatric Soc., 31: 17-24. Bisai, S. and C. Mallick, 2011. Prevalence of undernutrition among kora-Mudi children aged 2-13 years in paschim Medinipur district, West Bengal, India. World J. Pediatr., 7: 31-36. Achar, A., P.P. Chakraborty, T. Ghosh, B. Naskar, T. Guharay and S. Bisai, 2011. Clinical efficacy and tolerability of valaciclovir versus acyclovir in treatment of herpes zoster. Iranian J. Dermatol., 14: 52-57. Achar, A., P.P. Chakraborty, S. Bisai, A. Biswas and T. Guharay, 2011. Comparative study of clinical efficacy with amitriptyline and pregabalin in post-herpetic neuralgia. Acta Dermatovenerologica Crotiaca, 20: 89-94. 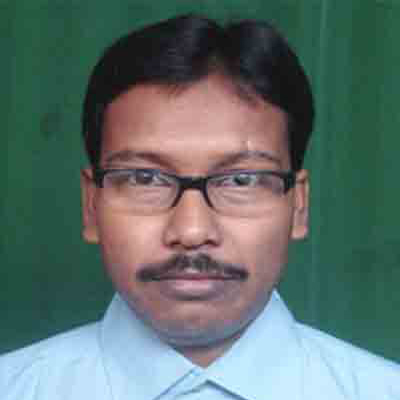 Mondal, P.C., T. Ghosh, M. Bera, P.P. Chakraborty, P.C. Ghosh, S. Ghosh and S. Bisai, 2010. Knowledge, attitude and practice of breastfeeding amongst mothers attending a Rural Medical College. Res. J. Med. Med. Sci., 5: 50-54. Dey, S.K., N.C. Masanta and S. Bisai, 2010. A comparative study of anthropometric and nutritional status of high and low socio-economic groups of adolescents. Int. J. Curr. Res., 6: 11-13. Bisai, S., T. Ghosh, G.K. De and K. Bose, 2010. Very high prevalence of thinness among Kora-mudi tribal children of Paschim Medinipur District of West Bengal, India. E J. Biol. Sci., 3: 43-49. Bisai, S., T. Ghosh and K. Bose, 2010. Prevalence of underweight, stunting and wasting among urban poor children aged 1-5 years of West Bengal, India. Int. J. Current Res., 6: 39-44. Bisai, S., R. Khongsdier, K. Bose, A.K. Bhunia, D. Mahalanabis and S. Koziel, 2010. Prevalence of overweight and obesity among Bengalee adolescents in Midnapore town, West Bengal, India. Int. J. Curr. Res., 10: 74-83. Bisai, S., 2010. Nutrition status based on mid upper arm circumference among urban poor pre-school children in North 24 Parganas, West Bengal, India. Serbian J. Exp. Clin. Res., 11: 141-145. Bisai, S., 2010. Maternal height as an independent risk factor for neonatal size among adolescent Bengalees in Kolkata, India. Ethiopia J. Health Sci., 20: 153-158. Bisai, S. and I. Manna, 2010. Prevalence of thinness among urban poor pre-school children in West Bengal, India. Sudanese J. Public Health, 5: 193-198. Mandal, G.C., K. Bose and S. Bisai, 2009. Thinness among rural children in Bengal. Indian J. Pediat., 76: 817-819. Das, B.K. and S. Bisai, 2009. Prevalence of undernutrition among Telaga adolescents: an endogamous population of India. Internet J. Biol. Anthropol., Vol. 2. .
Chakraborty, RK. Bose and S. Bisai, 2009. Use of MID-UPPER ARM CIRCUMFERENCE as a Measure of Nutritional Status And Its Relationship with self reported morbidity among adult bengalee male slum dwellers of Kolkata, India. In: Low Incomes-Social, Health and Educational Impacts, Levine, J.K. (Ed. )., Nova Science Publishers, New York, pp: 207-215. Chakraborty, R., K. Bose, R. Khongsdier and S. Bisai, 2009. Body mass index and body fat among adult bengalee male slum dwellers in West Bengal, India. Obesity Res. Clin. Practice, 3: 141-148. Chakraborty, R., K. Bose and S. Bisai, 2009. Use of Mid-Upper Arm Circumference as a Measure of Nutritional Status and its Relationship with Self Reported Morbidity among Adult Bengalee Male Slum Dwellers of Kolkata, India. In: Appetite and Nutritional Assessment, Ellsworth, S.J. and R.C. Schuster (Eds.). Nova Publishers, New York, USA., pp: 377- 385. Chakraborty, R., K. Bose and S. Bisai, 2009. Relationship of family income and house type with body mass index and chronic energy deficiency among urban Bengalee male slum dwellers of Kolkata, India. Homo, 60: 45-57. Chakraborty, R., K. Bose and S. Bisai, 2009. Mid-upper arm circumference as a measure of nutritional status among adult Bengalee male slum dwellers of Kolkata, India: relationship with self reported morbidity. Anthropol. Anz., 67: 129-137. Chakraborty, R., K. Bose and S. Bisai, 2009. Body mass index, nutritional status and blood pressure among obese and non-obese adult Bengalee male slum dwellers of Kolkata, India. J. Public Health, 17: 301-308. Bose, K., S. Bisai, S. Sadhukhan, A. Mukhopadhyay and M. Bhadra, 2009. Undernutrition among adult Bengalees of Dearah, Hooghly District, West Bengal, India: Relationship with educational status and food habit. Anthropol. Anz., 67: 121-128. Biswas, S., K. Bose, S. Bisai and R. Chakraborty, 2009. Prevalence of thinness among rural bengalee pre-school children in Chapra, Nadia District, West Bengal, India. Malaysian J. Nutr., 15: 155-164. Bisai, S., R. Khongsdier and K. Bose, 2009. Evaluation of thinness among urban Bengalee adolescents of Midnapore, India: Using new international BMI cutoffs. Indian J. Biol. Sci., 15: 49-55. Bisai, S., N. Datta, K. Bose, D. Mahalanabis and A. Sen, 2009. Receiver operating characteristics (ROC) curve estimation of low birth weight based on maternal third trimester weight among women of Kolkata, India. Coll. Anthropol., 33: 725-728. Bisai, S., K. Bose, A. Khatun, S. Ganguli and P. Das et al., 2009. Nutritional Stress in Kora Mudis of Two Districts in West Bengal, India: A comparative Statement, In: Environment Education: Global Issues and Policies. Basu, S.K. and S.D. Banik, (Eds.). APH Publication Corporation, New Delhi, pp: 379-389. Bisai, S., K. Bose, A. Khatun and H. Bauri, 2009. Age-related anthropometric changes and undernutrition among middle aged and older Savar tribal females of Keonjhar District, Orissa, India. J. Life Sci., 1: 21-26. Bisai, S., K. Bose and S. Dikshit, 2009. Underweight and stunting among slum children of Midnapore, India. J. Pediatr. Child Health, 45: 161-162. Bisai, S., K. Bose and S. Dikshit, 2009. Undernutrition among slum children aged 3-6 years in Midnapore town, India. Internet J. Biol. Anthropol., Vol 2. .
Bisai, S. and K. Bose, 2009. Undernutrition in the Kora Mudi tribal population, West Bengal, India: A comparison of body mass index and mid-upper-arm circumference. Food Nut. Bull., 30: 63-67. Bisai, S. and K. Bose, 2009. Leanness among early adolescents in two rural schools of two districts of West Bengal. Indian J. Public Health, 53: 235-236. Bisai, S. and C. Mallick, 2009. Growth pattern and prevalence of underweight, stunting and wasting among infants of Kolkata, West Bengal, India. Internet J. Biol. Anthropol., Vol. 3. 10.5580/949. Mandal, G.C., K. Bose, S. Bisai and S. Ganguli, 2008. Undernutrition among Integrated Child Development Services (ICDS) scheme children aged 2-6 years of Arambag, Hooghly district, West Bengal, India: A serious public health problem. Ital. J. Public Health, 5: 28-33. Bose, K., S. Bisai, P.S. Mondal and M. Ghosh, 2008. Body mass index and chronic energy deficiency among adult male Lodhas and Bhumijs: A comparison with other tribal populations of West Bengal, India. J. Public Health, 16: 117-121. Bose, K., S. Bisai, J. Chakraborty, N. Datta and P. Banerjee, 2008. Extreme levels of underweight and stunting among preadolescent children of low socioeconomic class from Madhyamgram and Barasat, West Bengal, India. Coll. Anthropol., 32: 73-77. Bose, K., S. Bisai, F. Chakraborty, A. Khatun and H. Bauri, 2008. Body composition of two tribal populations of Keonjhar, Orissa, India: A comparison. Int. J. Biol. Anthropol., Vol. 1. .
Bose, K., S. Bisai and S. Mukherjee, 2008. Anthropometric characteristics and nutritional status of rural school children aged 6-14 years of Onda, Bankura District, West Bengal, India. Vol. 2, Int. J. Biol. Anthropol. .
Bose, K. and S. Bisai, 2008. Prevalence of underweight and stunting among school children in west Bengal. Indian J. Pediatr., 75: 1272-1272. Bose, K. and S. Bisai, 2008. Prevalence of undernutrition among rural adolescents of West Bengal, India. J. Trop. Pediatr., 54: 422-423. Bose, K. and S. Bisai, 2008. Nutritional status of rural adolescent school children in Paschim Medinipur, West Bengal. India. Pediatrics, 6: 515-516. Bisai, S., K. Bose, S. Ganguli, H. Mumtaz, A. Mukhopadhyay and M. Bhadra, 2008. Sexual dimorphism and age variations in anthropometry, body composition and nutritional status among Kora Mudi tribals of Bankura District, West Bengal, India. Tribes Tribals, 2: 103-109. Bisai, S., K. Bose and A. Ghosh, 2008. Prevalence of undernutrition of Lodha children aged 1-14 years of Paschim Medinipur District, West Bengal, India. Iran. J. Pediatr., 18: 323-329. Bisai, S., K. Bose and A. Ghosh, 2008. Nutritional status of Lodha children in a village of Paschim Medinipur district, West Bengal. Ind. J. Public Health, 52: 203-206. Bisai, S., 2008. Nutritional status and growth pattern of urban infants in relation to birth weight. Curr. Sci., 95: 175-175. Bisai, S. and K. Bose, 2008. Body mass index and chronic energy deficiency among adult tribal populations of West Bengal: A review. Studies Tribes Tribals, 2: 87-94. Bose, K., S. Jana, S. Bisai, A. Mukhopadhyay and M. Bhadra, 2007. Comparison of anthropometric and body composition characteristics and nutritional status between tuberculosis patients and controls: A study from North 24 Parganas District, West Bengal, India. Malaysia J. Nut., 13: 131-139. Bose, K., S. Biswas, S. Bisai, S. Ganguli, A. Khatun, A. Mukhopadhyay and M. Bhadra, 2007. Stunting, Underweight and Wasting among Integrated Child Development Services (ICDS) scheme children aged 3-5 years of Chapra, Nadia District, West Bengal, India. Matern. Child Nut., 3: 216-221. Bose, K., S. Bisai, P. Das, S. Dikshit and S. Pradhan, 2007. Relationship of income with anthropometric indicators of chronic energy deficiency among adult female slum dwellers of Midnapore Town, West Bengal, India. India. J. Human Ecol., 22: 171-176. Bose, K., S. Bisai, P. Das, S. Dikshit and S. Pradhan, 2007. Interrelationships of income, chronic energy deficiency, morbidity and hospitalization among adult male slum dwellers of Midnapore, West Bengal, India. J. Biosoc. Sci., 39: 779-786. Bose, K., S. Bisai, A. Mukhopadhyaya and M. Bhadra, 2007. Overweight and obesity among affluent Bengalee schoolgirls of Lake Town, Kolkata, India. Matern. Child Nut., 3: 141-145. Bose, K., F. Chakraborty and S. Bisai, 2007. Age trends in anthropometric and body composition characteristics and undernutrition among female Bathudis: A tribal population of Keonjhar District, Orissa, India. Anthropol. Anz., 65: 285-291. Bose, K. and S. Bisai, 2007. Adult Santal males from Orissa and West Bengal: Comparison of their anthropometric profile and chronic energy deficiency. Studies Tribes Tribals, 5: 65-69. Bisai, S., K. Bose and D. Ghosh, 2007. Utility and efficacy of utilizing body mass index and percent body fat in the evaluation of nutritional status among university students. Indian J. Biol. Sci., 13: 27-32. Bisai, S., D. Mahalanabis, K. Bose, A. Sen and N. Datta, 2007. Cut off Point of Maternal Weight for Low Birth Weight: Assessment by Sensitivity Verses Specificity and Regression Equation. In: Man and Environment: Global Concerns and Perspectives, Banik, S.D., S.K. Basu and A.K. De (Eds.). APH Publication Corporation, New Delhi, pp: 65-80. Bisai, S., D. Mahalanabis, A. Sen, K. Bose and N. Datta, 2007. Early second trimester pregnancy weight in relation to birth outcome among the Bengalees of Kolkata, India. Ann. Hum. Biol., 34: 91-101. Banik, S.D., K. Bose, S. Bisai, M. Bhattacharya, S. Das, A. Jana and P. Purkait, 2007. Chronic energy deficiency among adult Dhimals of Naxalbari, West Bengal: Comparison with other tribes of Eastern India. Food Nut. Bull., 28: 348-352. Chakraborty, R., K. Bose and S. Bisai, 2006. Body mass index and chronic energy deficiency among urban male slum dwellers of Kolkata, India: Relationship with family income. Int. J. Anthropol., 21: 209-215. Bose, K., S. Bisai and F. Chakraborty, 2006. Age variations in anthropometric and body composition characteristics and underweight among male Bathudis-A tribal population of Keonjhar District, Orissa, India. Coll. Anthropol., 30: 771-775. Bose, K., S. Banerjee, S. Bisai, A. Mukhopadhyay and M. Bhadra, 2006. Anthropometric profile and chronic energy deficiency among adult Santal tribals of Jhargram, West Bengal, India: Comparison with other tribal populations of Eastern India. Ecol. Food Nut., 45: 159-169. Bose, K., F. Chakraborty, S. Bisai, A. Khatun and H. Bauri, 2006. Body mass index and nutritional status of adult Savar tribals of Keonjhar District, Orissa, India. Asia Pac. J. Public Health, 18: 3-7. Bose, K., F. Chakraborty, K. Mitra and S. Bisai, 2006. Nutritional status of adult Santal men in Keonjhar District, Orissa, India. Food Nut. Bull., 27: 353-356. Bisai, S., D. Mahalanabis, K. Bose, A. Sen and N. Datta, 2006. Cut off point for maternal weight of term low birth weight neonates among Bengalees of Kolkata, India: Assessed by two methods. Indian J. Biol. Sci., 12: 10-22. Bisai, S., D. Mahalanabis and K. Bose, 2006. Low birth weight and normal birth weight newborns of Kolkata, India: Comparison of some maternal risk factors. Int. J. Anthropol., 21: 241-246. Bisai, S., A. Sen, D. Mahalanabis, N. Datta and K. Bose, 2006. The Effect of Maternal Age and Parity on Birth Weight among Bengalees of Kolkata, India. In: Culture, Ecology, Nutrition, Health and Disease, Bose, K. (Ed.). Kamla Raj Enterprise, Delhi, pp: 139-143. Sen, A., D. Mahalanabis, S. Mukhapadhyay, K. Chakraborty and A.K. Singet al., 2005. Routine use of antimicrobial by pregnant Indian women does not improve birth outcome: A randomized controlled trial. J. Health Popul. Nut., 23: 236-244. Banik, S.D., K. Bose and S. Bisai, 2005. Anthropometric and physiometric assessment of adult dhimals of Naxalbari, West Bengal. Indian J. Biol. Sci., 11: 26-39.